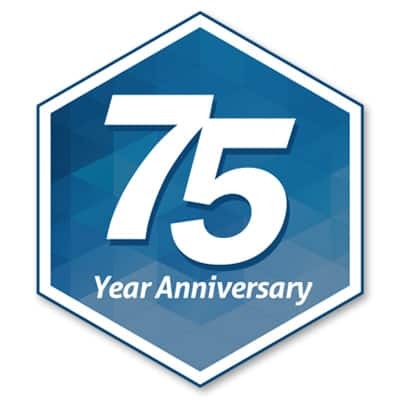 75th year in business with a full year of activities to mark the occasion and its history. The privately held, family‐run business is currently led by the third generation of the Leone family. Brothers Edmond and Leonard Leone founded the original company, located on Hertel Ave. in Buffalo, NY in 1942. The company began to evolve when local aerospace manufacturers approached them to fabricate parts for their businesses in the machine shop. This led to experimenting with a relatively new material called “plastic” and Curbell Machine Company was formed. The Curbell name originated from a combination of its two original customers: Curtiss Wright and Bell Aircraft. By the 1970’s the company was forming a national distribution network for its new polymer materials. Today, Curbell Plastics is one of the nation’s premier suppliers of plastic sheet, rod, tube, and related materials, with 17 sales and distribution centers located throughout the United States. The evolution and growth continued with Curbell Medical Products as a new division, growing from the company’s Plastics business. The company partnered with General Electric to fabricate parts for a line of wired remote control units for its hospital televisions, commonly known as “pillow speakers.” The company leveraged its assembly expertise to build relationships with other television manufacturers, including Zenith, RCA, and Admiral, until Curbell became the industry’s largest supplier of replacement pillow speaker units. growing companies in Business First of Buffalo.